Inspired by the minimum dimension, Flat.C constitutes the latest chapter in my search for dimensional upgrading within wall-system products. Flat.C is flat - like the screens in our collective imagination, which are linked to the new ways of viewing video and images. The goal was to obtain a flexible system where it was possible to foresee an almost infinite number of different configurations based on a modular grid that organises the composition elements and restricts proportions. 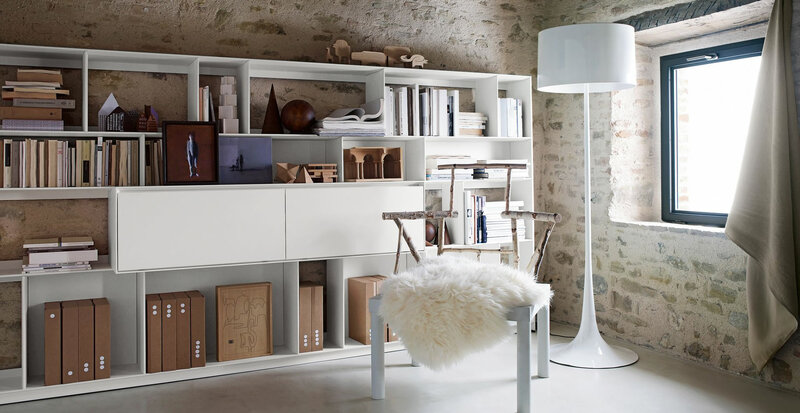 The range of storage units determines the intelligent use of space. 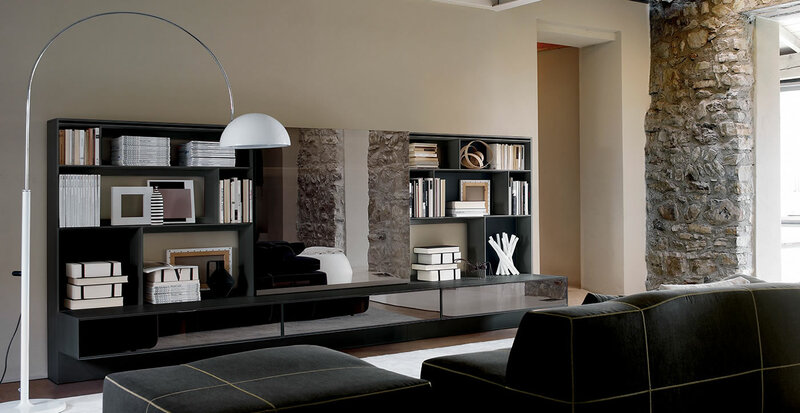 Flat.C is a reconfigurable open system. It expresses a free way to occupy space and can follow the evolutions of multimedia systems.